Instead of large-scale events like today, volunteers gather across the boundaries of individual potters, potters and distributors, and 36 exhibitors prepare their own tents and prepare their own venue It was a small and homey event. It has become a major event that more than 300,000 people visit now, due to the local enthusiasm that they want Kasama Yaki to be the axis of regional activity of Kasama. As you walk along the slopes of "Kasama Art Forest Park" surrounded by fresh greenery in fine weather, a hand-made large signboard "HIMATSURI" welcomes you. The number of tents in the store is over 230, and every store has a row of sparkling handmade tents, and the display is full-fledged and distinctive. There is also "Kids Land" where children can play clay, and they are running around happily in a safe place. Local food and authentic food stalls from around the world are lined around the square in front of the central stage, and you can fully enjoy your meal. The pizza on the leaf was baked saying "Pizza on leave of Magnolia", and the smell of leave of Magnolia was attractive, creating a long line waiting for completion. 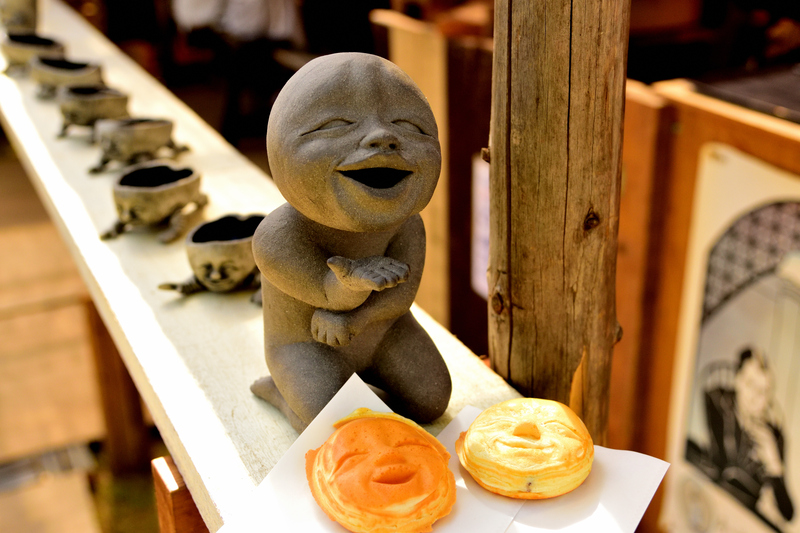 Mashiko Pottery Fair” is the atmosphere of the city's festival where you can feel the culture and history. On the other hand, “Kasam no Himatsuri” is more like an open music festival space. It seems that the atmosphere of the pottery festival is also reflected in the history of each city, Mashiko, who has been promoting the making of things that are rooted in the lives of Japanese people since ancient times, and Kasama, who turned their eyes overseas and exported them. Kasama-yaki is really lined with various types of bowls like "characteristics without features". For young potters, Kasama's spirit of free style seems to be attractive, and many young potters carefully explained their works. Customers can deepen their interest in, and attachment to, pottery by directly listening to the "background of manufacturing", such as what kind of place the potter is obsessed with, and what kind of feelings they are working on. There were various ideas to make the distance between life and pottery closer, such as a corner where you can choose your favorite matcha bowl and enjoy a matcha with that bowl, and a place where you can actually enjoy sake and beer with a potter's work. Mashiko and Kasama have a cooperative relationship with the name "Kasamashiko". A direct bus called "Kantoyakimono Liner" departs from Akihabara in Tokyo every day, and it is possible to travel from Tokyo to Kasama to Mashiko. 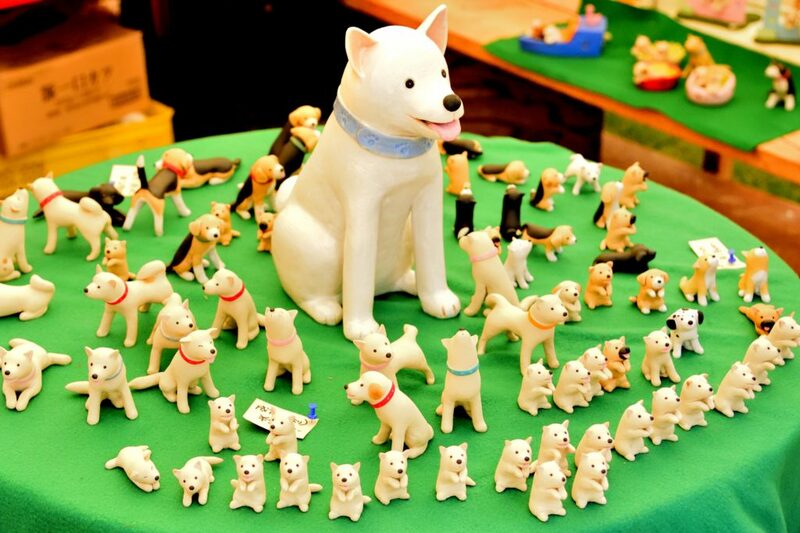 A trip to "Mashiko Pottery Fair" and "Kasama no Himatsuri" is an invaluable opportunity, such as meeting the local culture and wonderful works, and being able to meet many potters.